In the following open letter, George Souvlis and Samuele Mazzolini respond to the recent DiEM launch in Rome. We decided to write you this letter after following closely the launch of DiEM 25 in Rome on 23 March. The missive aims to discuss a series of issues regarding your initiative that we found unconvincing by offering a well-intentioned criticism of it. We clarify at this point that our aim is neither to dismiss a priori the project nor to appear like smarty pants that know better than anyone else how things should be done, something not totally foreign within the universe of the Left. Rather, with this letter we wish to raise some questions publicly that we suspect many may have already thought about and discussed informally and that could be used as sparks for the amelioration of the initiative. Let us start with the identity of DiEM 25. During your presentations, you repeated time and again that DiEM 25 is a ‘movement’ fighting for the democratization of Europe by attempting to change the content of the already existing structures of the European Union. However, what escapes us is who DiEM 25 exactly is and who its ‘enemy’ is meant to be. More precisely, who are you fighting against? Is the enemy the structures of the European Union? Or possibly the economic elites? Or just the Brussels’ bureaucrats? And who is DiEM? Is it something that is constituted by individuals, pre-constituted groups, or is it just a story by Yanis Varoufakis? It may well be too early to find a definitive answer to this issue – after all certain things become clearer only as they are developed -, but the type of social movement that you are trying to build so keenly seems to carry a certain statutory uncertainty inscribed in its very foundation. Every social movement of the last decade or so has had a specific definition to the question of ‘who?’ – both in terms of who ‘we’ are and who ‘they’ are – even in cases when the movement emerged as an outcome of very complex and contradictory processes. For example, the anti-globalization movement focused its criticisms and activism against the multinational corporations that were responsible for stripping political power from States through trade agreements and deregulated financial markets. The question of identity is really a crucial one not just for abstract psychoanalytic reasons but from a strategic perspective. The strategic dimension is central here and takes up even more prominence when considering another feature of your initiative. The ambiguous physiognomy of DiEM 25 is further reinforced by rendering the political affiliation of the people who will join your effort as an irrelevant criterion for their involvement as you literally said that: “We are not a coalition of political parties. The idea is that anyone can join independently of political party affiliation or ideology because democracy can be a unifying theme”. We appreciate that DiEM intends to reach out beyond the restricted circles of the ‘converted’, but it should be noted that it would make little sense to belong to a conservative party (or even a social-democratic one for that matter) while adhering to DiEM concomitantly. 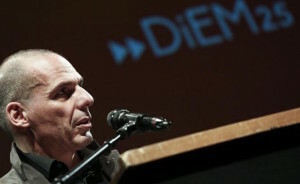 In this way, the nature of DiEM 25 runs the risk of apoliticism, as it totally neglects the fact that the differences between the various political traditions are not limited to an abstract and harmless plane of ideas, but extend to the meanings and understandings of the democratic process as such. Let us not forget, for example, that the liberal and the aristocratic views of liberal-democracy at the beginning of the 20th century in many European countries did not include the participation of subaltern classes: their political involvement was won only through strenuous processes of struggle. In other words, the content of democracy was not something given but an issue of struggle and definition. We consider that what is happening nowadays is in many respects similar: the destabilization of the representative institutions that the economic and political crisis brought about puts the meaning of democracy under contestation. While the political establishment considers the state of exception that has been imposed on a number of countries as democratic, the new protest movements that emerged in 2011 (Indignados in Spain, Aganaktismeni in Greece, Occupy Wall Street in the US ) also claimed back for themselves the concept of democracy. Do they amount to the same? Do they serve similar interests? Are these two types of interpretations of democracy not contradictory? We do not dispute that we need to disengage people from their previous political identifications and that this requires openness towards those coming from different political paths. What should be avoided, however, is a frontist strategy in disguise that fails to highlight that the democratic deficit is the fruit of the irresponsibility of those political traditions that are now so uncritically called upon. Moving to the European level and considering that the aims of DiEM 25 are limited to the democratic reestablishment of the structures of the EU, do you think that people with such diverse conceptions of democracy can agree on common agendas? We are very doubtful of this. This leads us to yet another strategic issue: what exactly is to be done? It seems that DiEM has put all its bets on the European dimension, entirely bypassing the national one. How cogent is this move and how effective is it likely to be? Is it really necessary to delete the state from the map as a locus of progressive democratic reforms and to consider it as an outdated and old-fashioned obsession? We do not think so! We consider the radical reestablishment of democracy within the various nation-states as equally important as action at a European level. Holding both the nation-state and Europe as political horizons does not amount to entrenching oneself behind a form of backward nationalism, as many DiEM followers have suggested. In this sense, it is particularly striking that in the argumentation you developed in Rome there prevails the utmost disregard towards other experiences of resistance towards austerity measures. In fact, if any stride towards the undoing of neoliberalism has been pursued in recent times, that has only happened in Latin America. We are aware that Latin America offers models that are now running into crisis and which have often been treated with deep suspicion by many sectors of the European Left. This should not lead us to throwing the baby out with the bath water. Blinding ourselves to the many achievements of Latin America in the last decade or so would be crass Euro-centrism. Many lessons can in fact be learnt, as Podemos has admittedly done. One of these is the recognition that the nation-state is certainly in difficulty, but its death certificate has not been issued yet. The neutralisation of the Washington Consensus and its stabilization packages has been achieved through a reactivation of the nation-state in two different ways. Firstly, as a locus of identification. Despite all its regional internationalism, the Latin American pink tide has been first and foremost a collection of national phenomena. Chávez’s Venezuela served as a powerful source of inspiration, but each experience manifested its own distinct particularities which have resulted in a case-by-case seizure of power, only to be followed by some inter-state convergence at a later stage (ALBA, UNASUR, CELAC). In other words, the Latin American progressive projects have demonstrated the importance of speaking the language of the nation and its people, a language of course expunged of any type of chauvinist or racist connotation. Even though the Bolivarian spirit pervaded to different degrees all these processes, it was the reference to the concrete material problems and issues pertaining to each country that made Chávez, Morales, Correa and the Kirchners popular and electorally hegemonic. DiEM, on the contrary, seems to place too much faith on a European cosmopolitan spirit in a continent where cultural and linguistic differences are a hundred times more pronounced than in Latin America. It is a language which runs the risk of remaining unheard precisely by the people who are suffering the democratic deficit the most and to whom the initiative should be able to speak. Secondly, the state has been turned towards the achievement of democratic goals. This was not an easy task in a context where many of the administrative functions of the state had been dismantled in the name of market equilibrium, and where its bureaucracy was so imbued with a neoliberal ethos. Nevertheless, and despite lying at the periphery of the world, the ‘re-oriented’ state has often been able to mount challenges to global capital that were deemed as inconceivable and unrealistic by the neoliberal mantra. This does not amount to a denial of the fact that globalised financial capital puts pressures that are difficult to cope with at a national level and that many of the dilemmas that Europe is facing require large-scale efforts, as in the case of the refugees crisis. It just means that ruling out entirely the possibility for states to act upon the situation is an oversimplification, especially if Greece is taken as the sole example (other countries, Spain in primis, would have a very different bargaining power vis-à-vis the creditors). It means moreover that it is only by directing our efforts where there are realistic chances of some tangible result that any step towards the democratisation of Europe can be made. Raising awareness at a continental level is crucial. But if left to itself, it leads sooner or later to its exhaustion. If not accompanied by the attempt to transform the institutions, the mere demand for their democratization is unlikely to produce any real change. And their transformation can only go through the nation-state, as a fully fledged European politics, capable of interpellating all citizens, does not exist yet, and given the demographic and power asymmetries, one wonders whether it is desirable that it existed in the first place. Last but not least, Yanis! The issue of democracy within DiEM 25. We were negatively impressed by the fact that nobody apart from you spoke on behalf of the project and that the issue of representative structures within DiEM 25 was quite ill-defined. Is it possible, Yanis, to try to democratize something as big as the EU without previously having created solid democratic structures within your project? Is it not a bit at odds with your own aims? We think that at this point you totally neglect the very recent experience of Syriza. 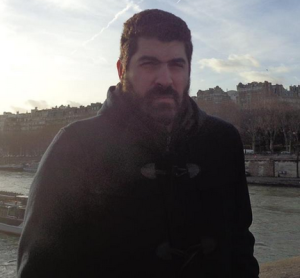 In our understanding, Syriza’s attempt failed terribly not only because the leadership of the party chose the wrong strategy in its negotiations with the institutions, but also because it abolished even the most elementary forms of democratic functioning within the party before and during the period of the negotiations. The party structures were incapacitated and a tiny minority – Tsipras’ group – dominated over the decision-making process. This bureaucratization of the party promoted a very distorted version of how politics should be conducted by considering that people and social movements should not have any say, as running the party is a job of the party elite. The outcome of this process is the one that we all know. We are really afraid that DiEM 25 may go along the same route if it continues to be a one-man show. We consider the formation of truly democratic structures within the initiative as a vital necessity that will prevent a similar evolution to the one that happened within Syriza. Needless to say, this process should also have a gender balance and people should be coming from different social and cultural backgrounds. The experience and know-how of the various social movements should be a crucial component in making DiEM a more solid and democratic structure.This is the only way through which DIEM can be grounded socially and cease being an elitist leader-centered top-down forum. Such a process will be able to guarantee the democratic accountability of DiEM as well as the marginalization of the opportunists that will attempt to use it as a vehicle of their own interests. Summing up, we believe that DiEM 25 faces the same dilemma of the EU: democratization or barbarism! 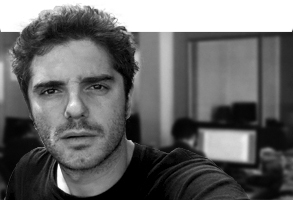 Samuele Mazzolini is a regular columnist for the Ecuadorian daily newspaper El Telégrafo and is currently studying Ideology and Discourse Analysis at the University of Essex. He previously studied Economics and Politics at SOAS (University of London) and holds a Masters degree in Latin American Studies from the University of Oxford. 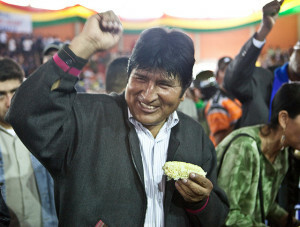 He has worked as a political analyst and consultant for the Ecuadorian government. Mr. George Souvlis I am sure that Mr. Varoufakis will respond to your questions. I know very well what DiEM25 is and what it stands for .I am also living out of our country but I do know everything about the ups and downs. It seems that you have never followed Yanis Varoufakis so you know nothing about him ;the only thing I heard is ” is this another Varoufakis’ story? what do you mean by that .I got offended cause I never follow people who make up stories and talk about them without evidence.I am very sorry that you are not familiar with DiEM25 ,what it stands for and how hard Y.Varoufakis has work towards this movement. as I mentioned earlier Yanis Varoufakis will be more than willing to answer to your questions ,maybe he has reached you already.